A unique team with decades of experience combined with a true love for the arts. 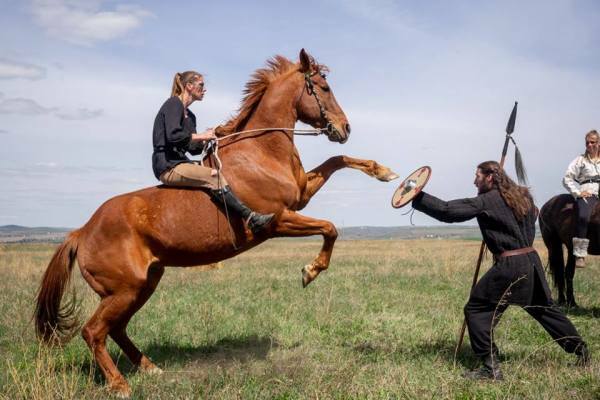 Mounted Combat Arts is a collaboration project between Lacey Hadford (Hadford Performance Training) and Mariusz Kubisz (Temple of Sword). We have united our unique skills and passions together to comprise a focuses training group that specializes in horsemanship, weapon control and live stage performance of these combined skills. 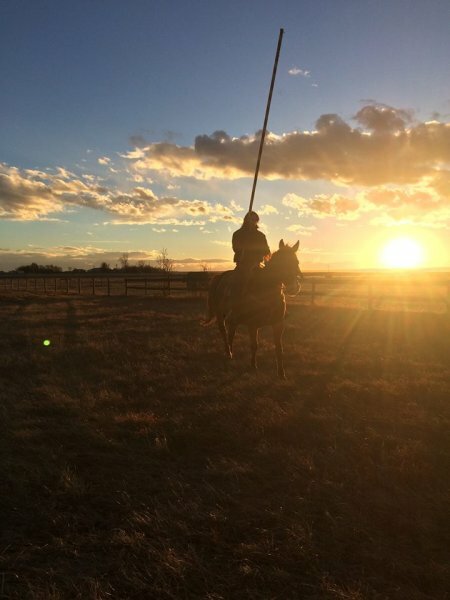 Hadford Performance Training is owned and run by Lacey Hadford who is a fourth generation performance horse trainer, performance and discipline coach, clinician and judge; raised in beautiful Southern Alberta Canada. 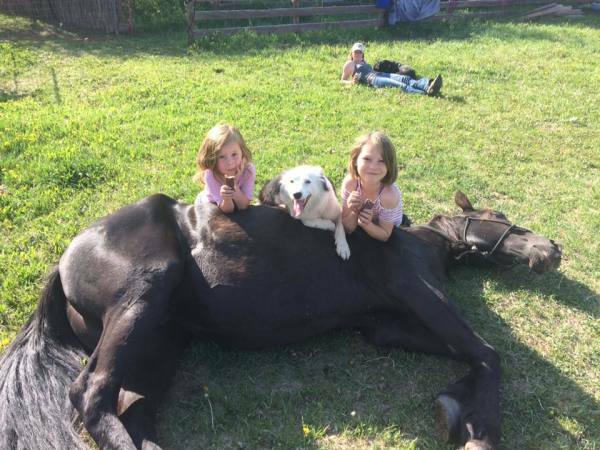 ​Her family has been committed to horsemanship and horse training going back to the early 19th century, as far as I know, starting with my great grandfather, Edward Teddy Young. ​Edward Young specialized in the training of cavalry stock for His Majesties Army in England in the 1900's, and later immigrated to Canada. 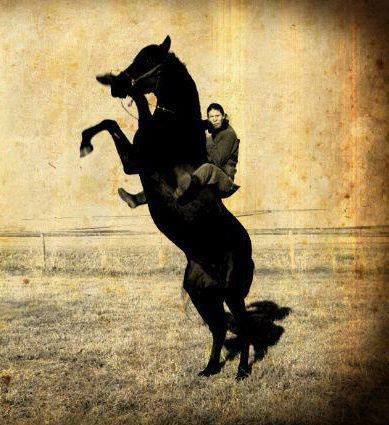 He farmed in the Bowmanton area, and at the outbreak of World War 1, he enlisted in the military and served overseas until he was seriously injured in the Boer War, he then came back to Canada and settled in Medicine Hat to raise his family and continue to train horses. She has worked with Grand Prix dressage masters, such as Gordon Dalshaug, jumping trainers as well as elite polo players professional reining/working cow/cutting trainers, Argentine Gaucho's, also she runs her own breeding program designed for size, speed, strength and agility, with an Andalusian base breed with Thoroughbred influence and currently offers breeding’s to a limited number of public mares. Her personal horses have also been glimpsed on screen in commercials in Canada and worldwide on CBC’s hit series Heartland. She now begins training the fifth generation of trainers under the Hadford name with her two young daughters who strive to carry on their mother's trade. 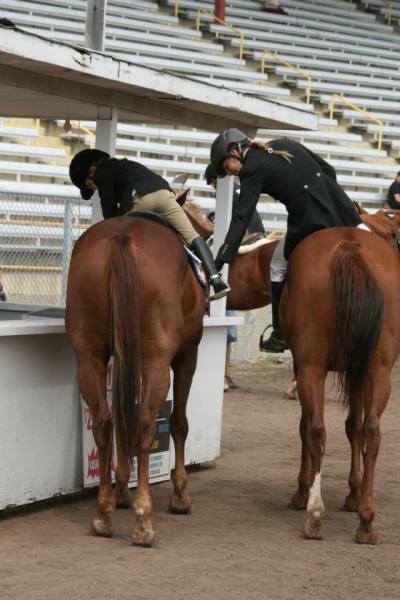 Sophitia Hadford (11) and Cassandra Haford (6) have grownup with their whole lives being apart of Lacey's career, they share the same bond with horses and dream big of growing their own careers. 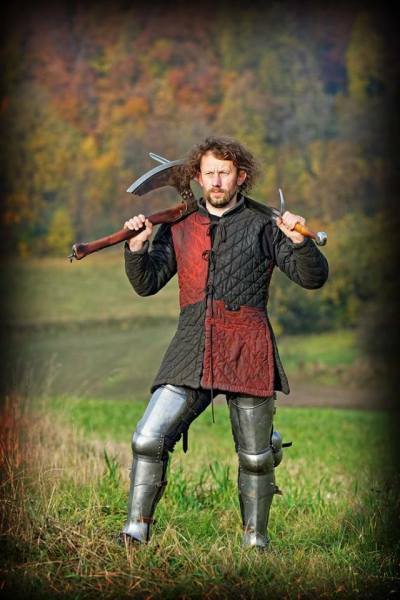 Temple of Sword was founded by Mariusz Kubisz where they perform a large variation of stunts. 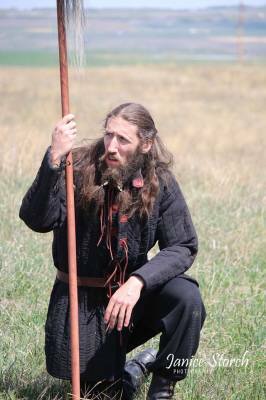 They are experts in the use of all kinds of swords and pole weapons used throughout many time periods. 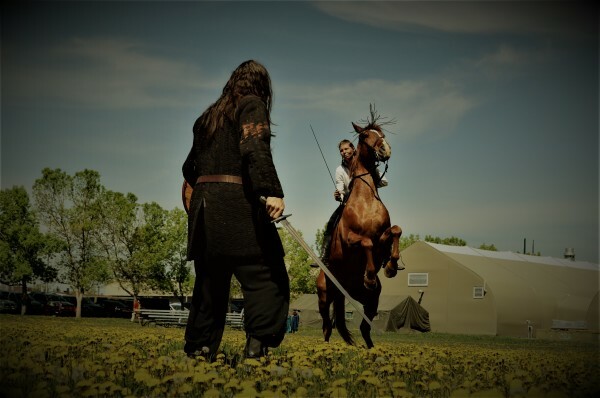 Over the years, they have learned how to fight using many different combat styles, utilizing them into building fight choreography and acting. Mariusz uses the skills he has obtained from his years of experience and his training he underwent at the School of the Hard Knocks, a stunt school currently run by Peter Kent (Arnold Schwarzenegger stunt double). With his years of combined knowledge and skill, Marius teaches his students these safe, professional practices of performing stunts for stage and film. Joseph has worked over the past eight years in the IT department as SUBNET's business applications analyst. 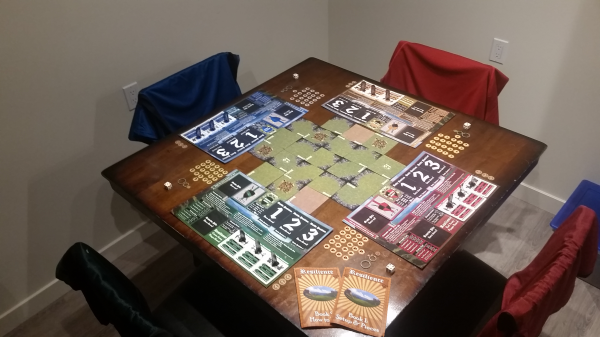 Joseph started in October of 2017 his own game development company where he currently designs and publishes board games. ​ Joseph manages all of Lacey's digital assets and legal documentation working for Lacey as her Business Application Analyst. Specialties: Her competition experiences include but are not limited to; Ranch work, Roping, Cutting, Reining, Gymkhana, Barrel Racing, Western and English Pleasure/Equitation, Show Jumping (up to 5'6") in competition, Dressage, Endurance racing, Competitive Trail, Endurance, Polo, Working Equitation, Command, Cowboy Challenge, Fox Hunting, Lesson Program, Medieval Movements of War. Bio: Storm has been an integral part of our family all her life. 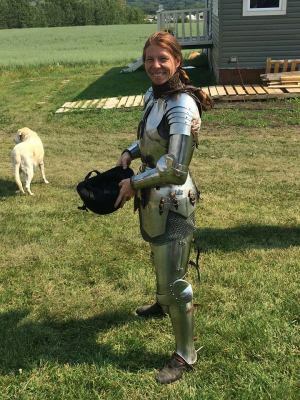 She has taught advanced students what it is to ride a real war horse and feel the ride of Kings. 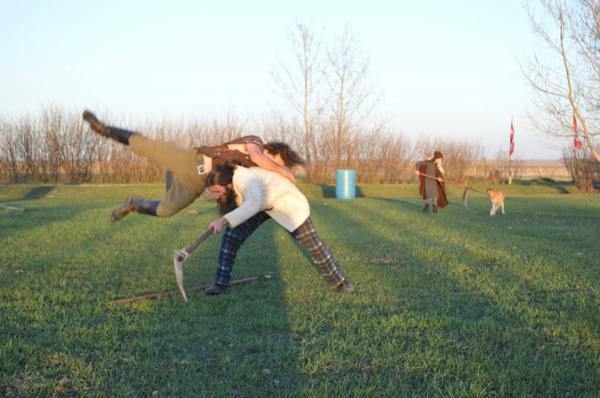 Fox Hunting, Command, Stage Falls, Cowboy Challenge, Lesson Program, Mounted Medieval Movements of War. Bio: Harley is a Foundation Thoroughbred raised from the cavalry breeding program of Lacey Hadford's great grandfather Edward Teddy Young. 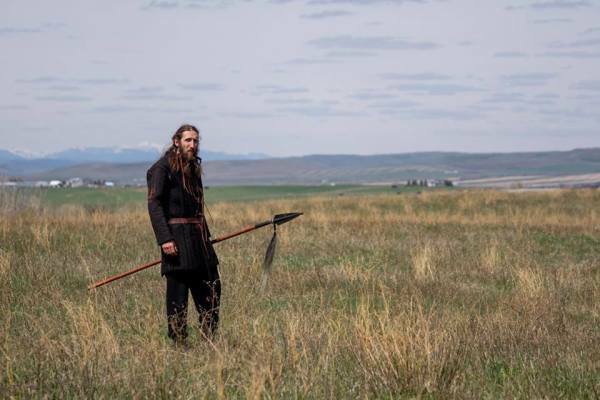 Harley has taught hundreds of students young and old, he has starred in hit TV Series such as CBC's Heartland and done beer commercials for Alberta's own Big Rock Brewery. 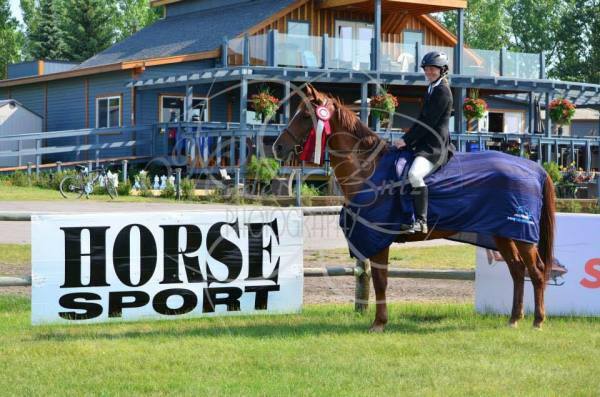 Harley was bred and raised by Lacey Hadford - HPT. Specialties: Cattle Work, Currently in training for Tricks and Stunts. Bio: Morgans were a favored mount by cavalry soldiers in the Civil War. They were sensible under fire. They could march tirelessly all day. They maintained their condition on unpredictable rations, and they were loyal to their riders in all circumstances. 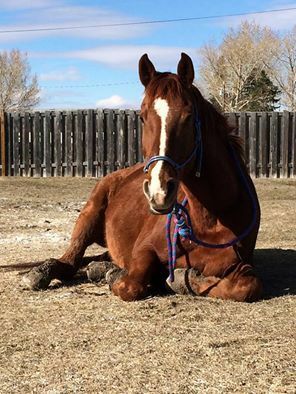 Spencer is our youngest equine member and is currently in our initial training program. He is being trained to be a part of our live demonstrations and currently travels with us from show to show to gain exposure, as well, trains with the other MCA equine members. This training method works in parallel to how we train our human counterparts. The Friesian horse is unique, truly a breed to be proud of. It developed from a very old breed which was inherent to all of western Europe. It's the only horse native to Holland. Historically speaking, the Friesian horse has been influenced by eastern bloodlines and has often been threatened with extinction. 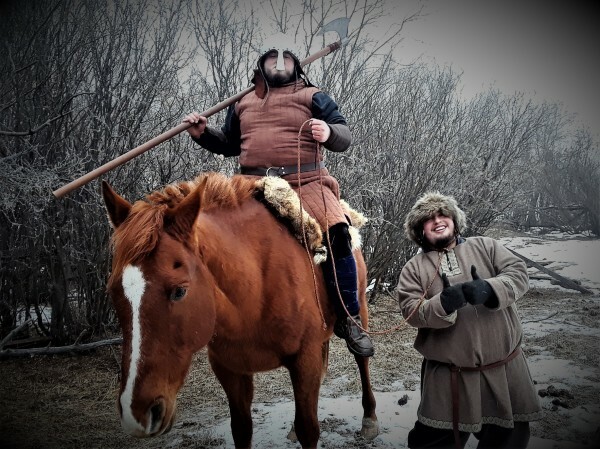 The armored knights found the Friesian Horse very desirable, having the strength, courage and heart to carry great weight and still maneuver precisely, in the face of the enemy. 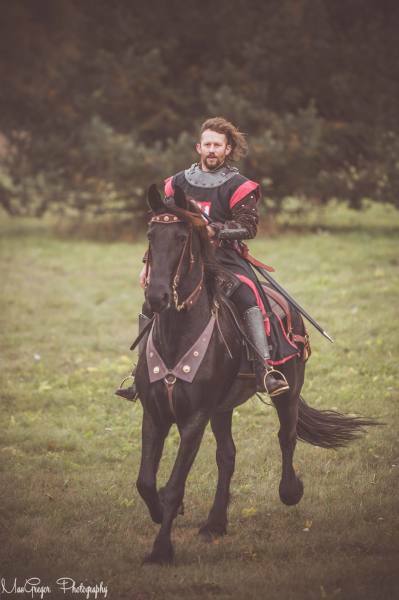 The Hungarian King Louis II used a Friesian Stallion on the battlefield on June 15, 1526. 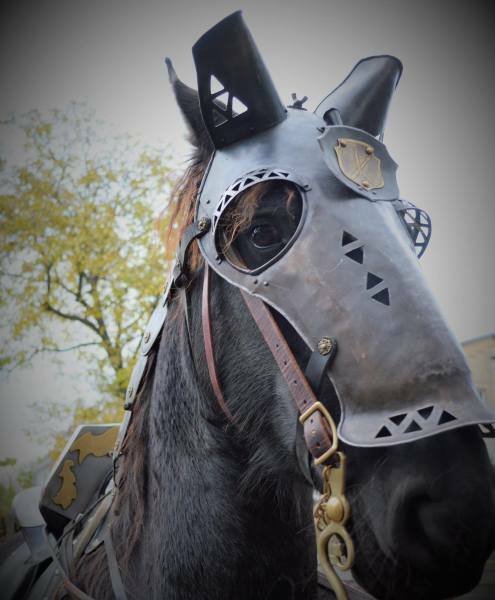 The Friesian was used as a war horse by Friesian Soldiers fighting with the Roman Armies, and later was used by knights and traveled all the way to the Middle East with the Crusaders. The suppleness and agility of the Friesian Horse became sought after in the riding schools of Paris and Spain in the 15th and 16th centuries. 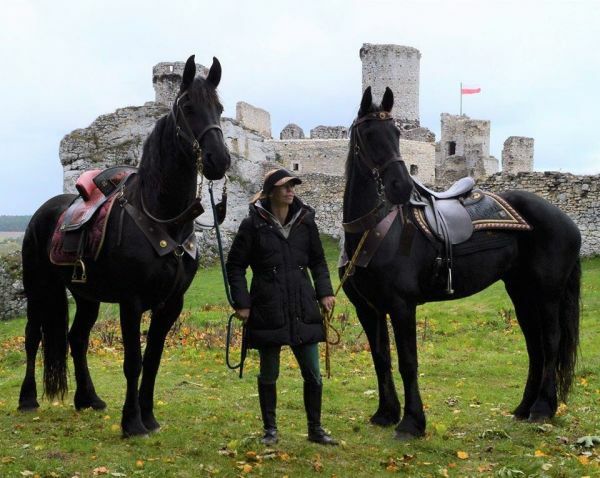 In the middle ages, it was mainly a knight's horse, but in the 18th and 19th century the Friesian was especially famous as a trotting horse on short distances. 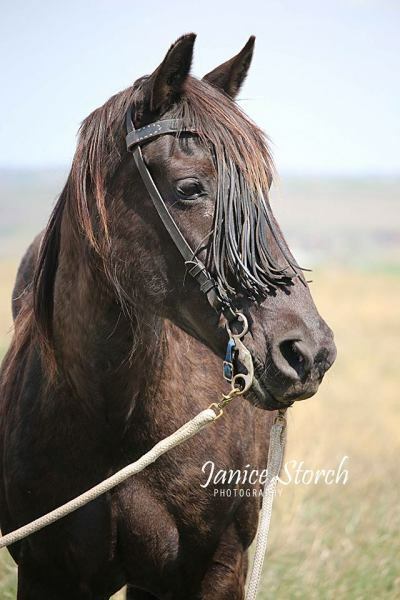 The Friesian was so adapted as a fast trotting coach horse that it was, in fact, Friesians who invented trotting races over short distances during the 18th century. 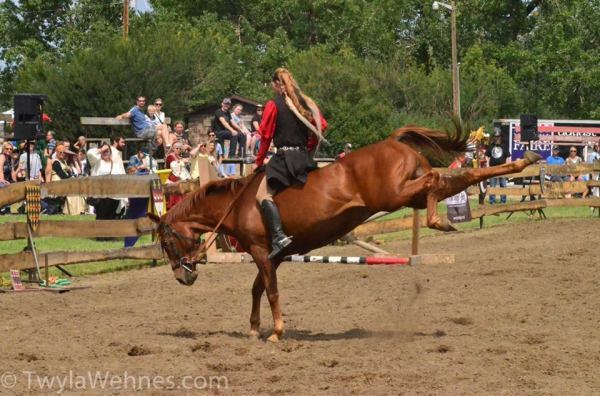 Bio: Experienced horse for demonstrations and film work. Bio: Sophitia is the eldest daughter of Lacey Hadford and has been riding horses with her mother since she was in diapers. 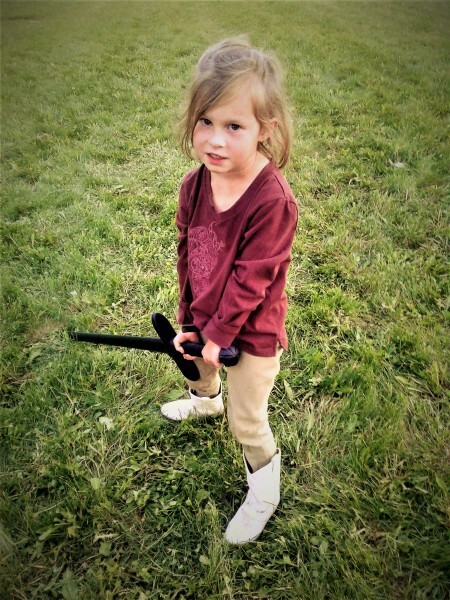 Sophie enjoys many forms of horsemanship and competitions such as; show jumping, mounted archery, mounted swordsmanship, open horse shows and the extreme cowboy challenge, all with her best friend, “Hurricane Harley”. Sophie also has started her carrier in the film industry as a performer working as back ground fill. She now works as the personal instructor for her younger sister Cassandra Hadford teaching her the same passion that she has. 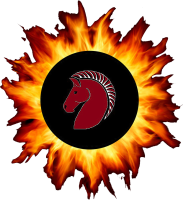 Bio: Cassandra is the youngest daughter of Lacey Hadford and much like her older sister, Cassandra has been riding horses with her mother since she was in diapers. Cassandra is currently training hard on many different ground weapons, as well, practicing on her stage presence for our shows. 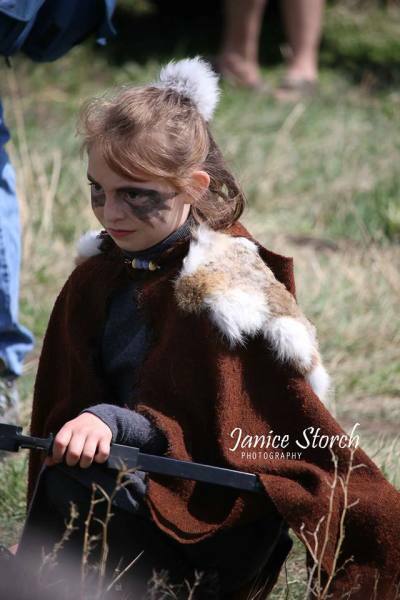 She cannot wait to show the world the many characters she brings to our events! Bio: ​​Chris Zinkhan is one of the proud members of MCA. Chris is an old friend of Joseph’s. He grew up in Saskatchewan and has travelled across Canada. Chris has a passion for music, sports and history. Chris loves the stage where he has performed for almost a decade as a musician. 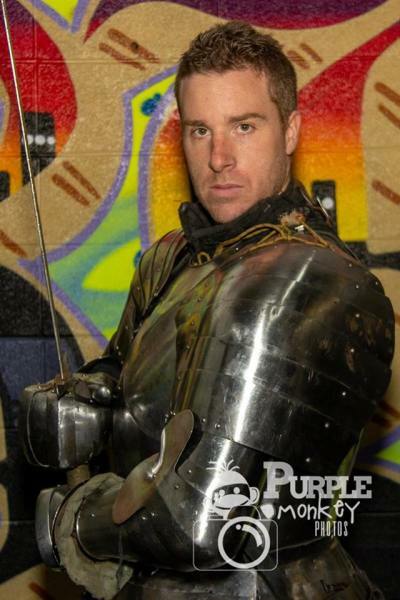 He has been training with MCA for almost a year in ground combat, stage, stunt work and most recently mounted combat techniques. Bio: Richard comes to MCA from the full contact Heavy Armored Combat Fighting scene. 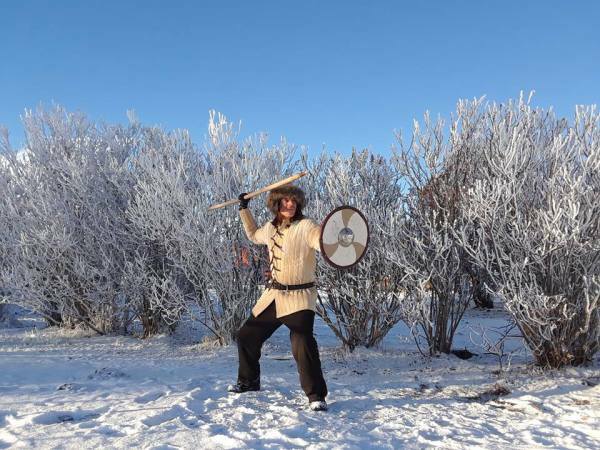 You'll usually find him head to toe in steel, hitting someone with a sword or an axe most days and is following his dream of expanding MCA and Armored Combat across Canada one fight at a time. in the following years. 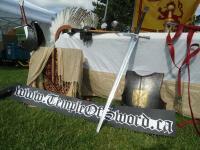 Some of their skills and interests are armor-making, blade-smithing, woodwork, leather work & History. Bio: MCA's newest member, we proudly welcome Luke to our group! We look forward to working with Luke's charismatic and diverse skill set.